Hypancistrus zebra, the Imperial Zebra Pleco, is the subject of a new research survey. Calling all keepers and breeders of the illustrious Imperial Zebra Pleco, Hypancistrus zebra: researchers are interested in the opinions of the worldwide community of keepers and breeders of this iconic species (also known as “L 46”) for a scientific study. 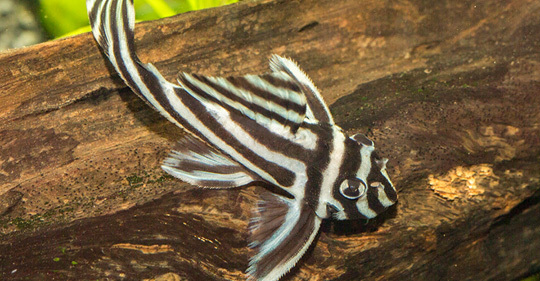 Estimate the number of H. zebra being bred and sold as juvenile or adult fish. Understand the changes in the sales prices over the last 15 years for adult and juvenile H. zebra. Your responses will also help researchers to gain insight into your opinions of the potential long-term impacts of the Belo Monte hydropower plant on the habitat of H. zebra and the importance of the provenance of individual fish (wild-caught vs captive-bred). The researchers note that participation in the Zebra Pleco survey is voluntary and should not take longer than 15 minutes of your time. You can skip any questions you do not wish to answer, and you can leave the survey at any time by closing the page. Your responses are completely anonymous. No identifying information such as your name, email address, or IP address is collected. If you have difficulty accessing the survey, or if you would like more information about the survey please reach out to zebrasurvey.geog@mcgill.ca. Take the Zebra Pleco Survey Now!